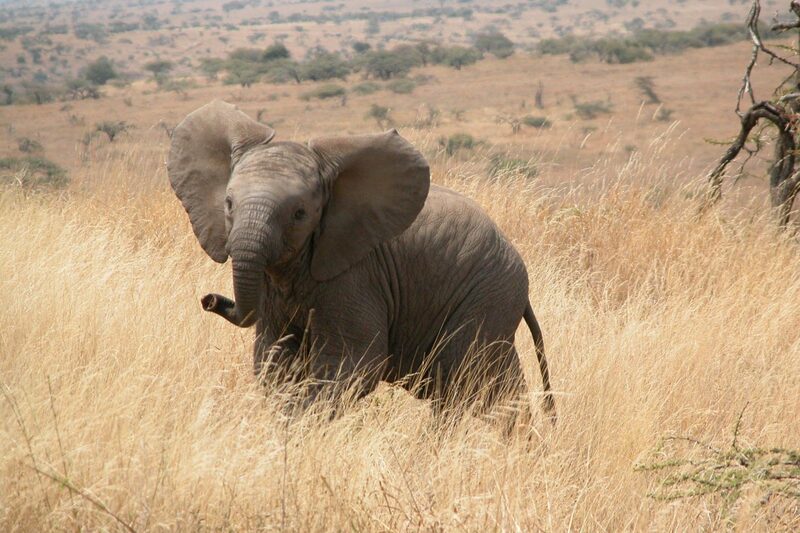 African Elephants are the largest land animals on Earth. They can grow to more than 3m with tusks over 2m long. 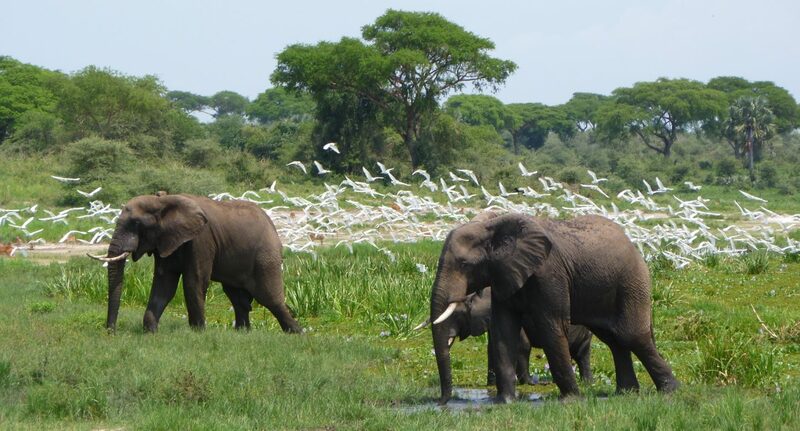 One of Africa’s ‘Big Five’, elephants play an important part in the continent’s tourism industry. They are also vital for maintaining the ecosystems they inhabit, for example by clearing vegetation, creating waterholes and dispersing seeds. 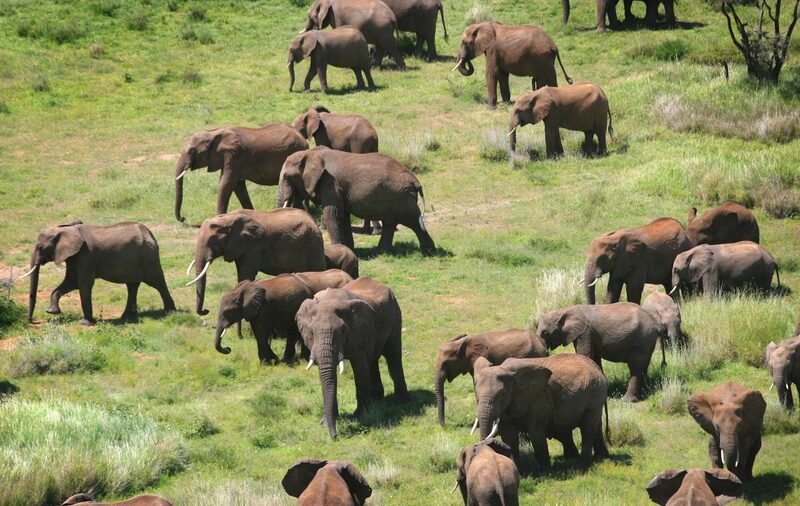 The African Elephant population has decreased by around 90% in the last century. An estimated 415,000 currently remain. Elephants are found in 37 countries in sub-Saharan Africa although their distribution varies considerably with the majority of their range remaining only in parts of Central, Eastern and Southern Africa. 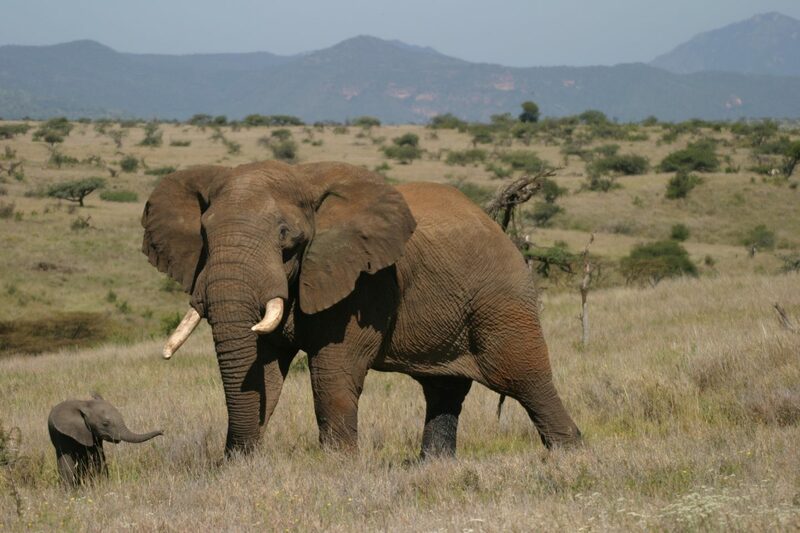 The African elephant occupies a range of habitats and can be found in dense forest, open savannah and grassland. Small populations of desert-adapted elephants are also found in Namibia and Mali. Poaching for ivory has been a major cause of the species decline but the most important perceived threat is currently habitat loss caused by the rapid growth of the human population and land conversion, together with increased human-wildlife conflict. Conservation measures include habitat management and protection through law enforcement. 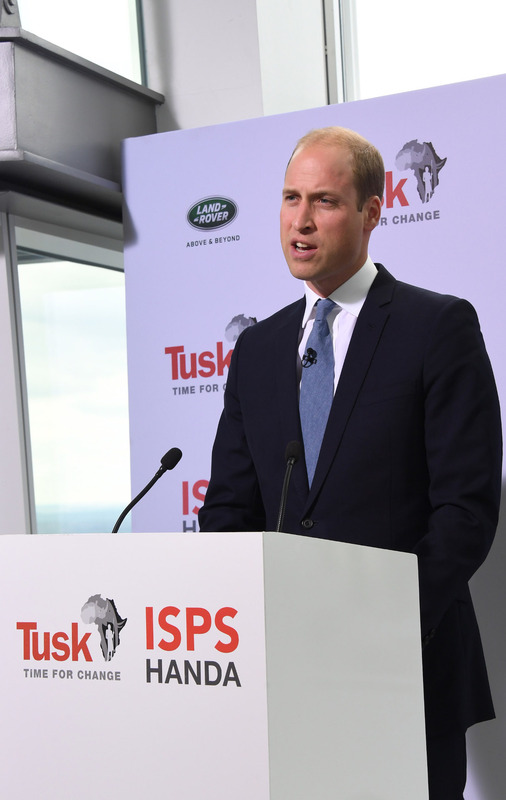 Tusk supports a number of anti-poaching initiatives focused on protecting elephant populations, for example in Kenya, Zambia and Mali, as well as community based projects to tackle the problem of human-elephant conflict. When I was born there were one million elephants roaming Africa. By the time my daughter Charlotte was born, the numbers of savannah elephants had crashed to just 350,000. And at the current pace of illegal poaching, when Charlotte turns 25 the African elephant will be gone from the wild.